I would like to nominate Max for the friendship award. This term Max has been a fantastic friend to all the other children in the Ospreys. On a daily basis, he gets on well with everyone, includes everyone, is quick to celebrate others' successes and forgive others' mistakes. Most impressively, he has also shown that he will put his friends' happiness before his own. On one occasion, he risked the possibility of difficult consequences for himself in order to help one of his friends. On occasions like this when he has shown himself to be an amazing friend, he has been humble and not wanted any fuss to be made about the kindness and courage he has shown. 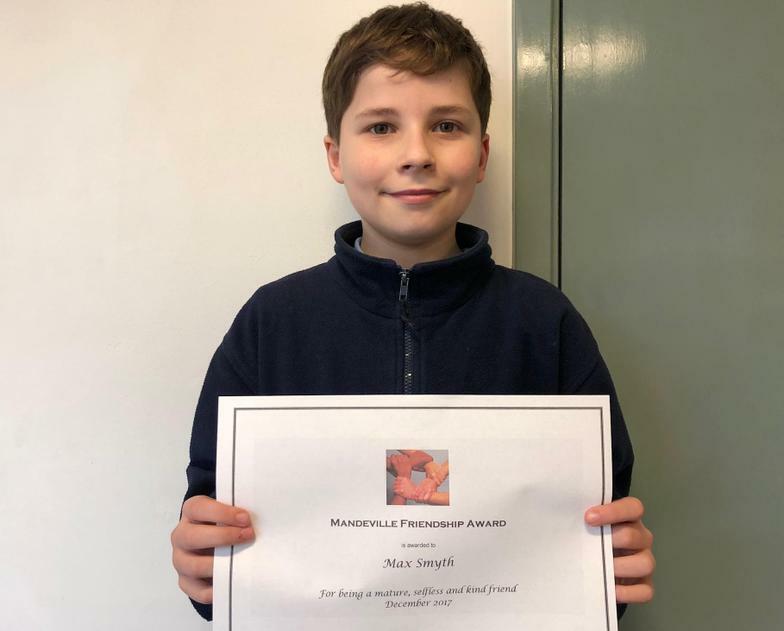 On top being a fantastic friend, Max is also a great role model for younger children in school being polite, hard-working and positive. Mandeville and the Ospreys are very proud to have him and I think he would be a really deserving recipient of a friendship award.